4. Do you have an Ad online? 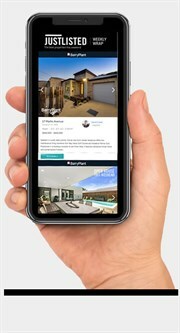 JustListed is Australia's exciting new weekly email-onlyproperty publication - designed to help you sell your property faster and more reliably in today's market. JustListed pushes your newly listed property directlyto the inbox of hundreds of thousands of local buyers, renters and residents, ensuring they actually receive & can seeyour listing - and for a fraction of the cost of other marketing options.